As a Canadian leader in the White Pine lumber production, René Bernard Inc. has built a solid corporate foundation on quality products since 1966. 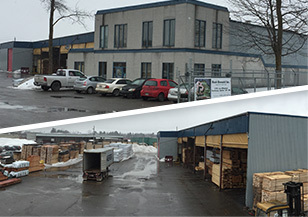 With sales of White Pine and other lumber products throughout Canada, USA and Overseas, René Bernard Inc. continues to seek innovative ways to meet our customer’s varying needs, while conforming to CLA, NELMA and A.M.B.S.Q. standards. Our superior wood moisture control systems provide results beyond industry standards, assuring constant quality and competitive products for our customers. Acquired in 2000, this subsidiary of Rene Bernard Inc. is located in Saint-Zacharie, QC, Canada. Acquiring this sawmill assisted the vertical integration from log to retail sales for the Rene Bernard Group. 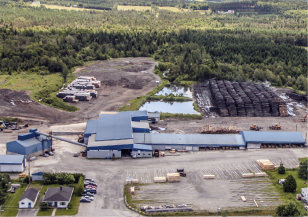 Founded in 1966, Irenee Grondin et Fils Ltee sawmill employs 60 people and is a principle employer in the region today. 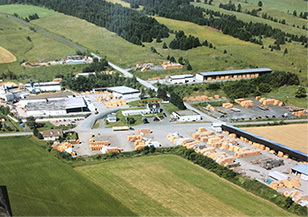 Situated in Terrebonne QC, this facility is Rene Bernard Inc’s sales and distribution center for the Montreal Region of Quebec.